Actors praising the upcoming movies they’re set to appear in is not exactly surprising, and it’s something they do from time to time even when they know they’re not being completely honest about the quality of the film. That being said, Batman V Superman: Dawn Of Justice‘s Jesse Eisenberg (Lex Luthor) has always come across pretty direct in past interviews and doesn’t seem like the type to dole out any undeserved niceties without even being prompted to do so. While speaking to Collider about his new flick American Ultra, the actor was asked what it was like coming on board a project with so much interest and hype behind it, and his comments definitely suggest that he’s very happy with the highly anticipated follow-up to Man Of Steel. I’ve never been involved for something that is parsed to this degree. Whether it be something that someone says that has some tangential relation to the movie or the trailer images that are released. It was initially surprising and fortunately the movie is really wonderful. So when people are parsing what the individuals images maybe be, the takeaway is how interesting the movie looks and how wonderful it is. You know, the script is phenomenal. Written by Chris Terrio, who is just brilliant. And Zack Synder is just visually, masterful. And I think everything that’s been released and parsed within an in of its life has been received so well. Obviously, we can’t read too much into comments made by those so directly involved and invested in the movie, but this – along with the recent reports of a standing ovation after a screening – is still very encouraging to hear and definitely puts a smile on our face. 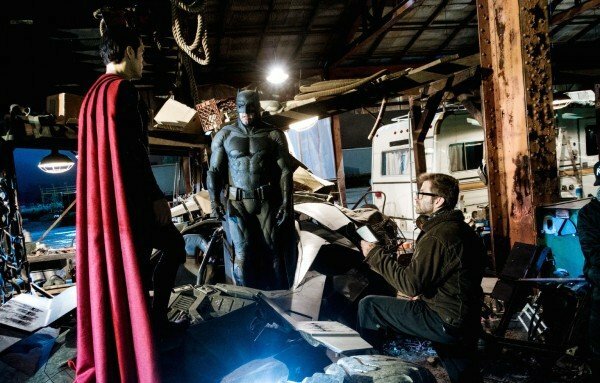 Batman V Superman: Dawn Of Justice will be with us on March 25, 2016.